Back in 1999 wrist computers as we know them today were not existing and neither linked to augmented vision. Our data was buried deep in magnetic media. There were cathode ray tubes where electron beams heated the phosphorescent screen to make our data visible. We kept dreaming of easier ways to see and interact our data. is developed in any and every sector of life and business, there will always be one main concern that every inventor and innovator has to consider, an issue that is present and must be kept in mind at every step: how are people going to use this tool? A new creation may be entirely groundbreaking, but if people can’t use it, it becomes useless. It’s for this reason that accessibility and user interface is so central to every instance of development planning and projection. With the rise in technological capabilities that humanity has been experiencing in recent years, people have been on the search to find ways to make using tools devices even easier, and so technology has been subject to extreme streamlining ideas and theories. However, some companies have decided to go the extra mile with accessibility by using augmented reality to take the device out of your hands and make your hands the device. Not literally, of course. That would be absurd, and also painful. No, it turns out that many companies are working around the clock to create technology that works in tandem with augmented reality to reduce the amount of hardware necessary as much as possible, which has manifested in a number of innovative approaches to mechanical minimalism. is using technology to spread the UI (User Interface) of a given device onto the user’s natural field of view, bringing the way the user interacts with the digital product into what they see in front of them in the real world. This is done to give users a seamless experience between living their everyday lives and interfacing with devices they use in said everyday life. While this idea is sound in theory, endeavors to produce the kind of seamless experience in the initial years since the ideas inception have been…less than stellar. Nevertheless, developers like Epson (Moverio glasses) have pressed onwards, and recent years have seen dramatic advancements in the field of augmented reality technology. With technology today, using technology to facilitate new techniques for communicating ideas like Skyhigh Visual Collaboration and a number of other new approaches to problem solving becomes an effortless task. Many kinds of augmented reality equipment allows for the on-the-fly creation of graphics and 3D models, which is extremely useful for say, helping someone remotely figure out a problem with accurate visual representations of whatever may be causing a problem. However, this technology doesn’t just stop at the private sector: companies have been making huge leaps in getting augmented reality into the hands of the people for everyday use, streamlining device usage like never before. approach the idea of augmented reality in a slightly different manner, there is a small number of companies working to bring augmented reality to the people by bringing it literally to the people. In order to have hardware infringe on human life as little as possible, there are a few companies going so far as to have what little hardware they supply bring the device usage right to the human body. 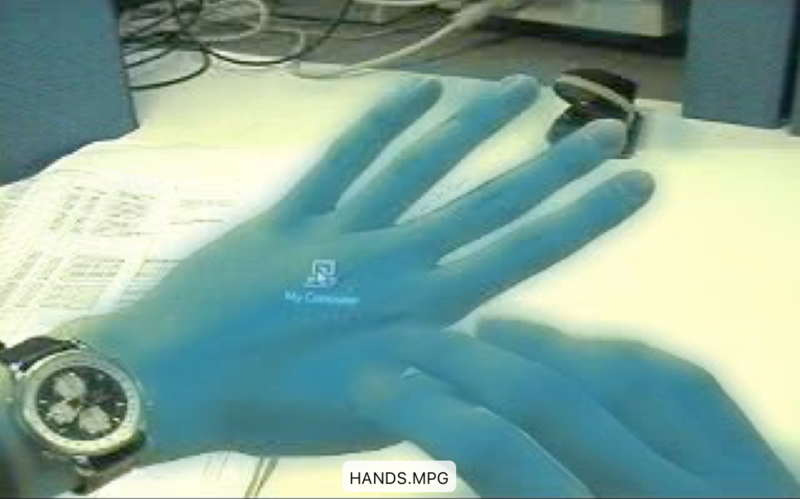 By integrating wearable technology into daily use, people would be able to project images directly onto their own body. While this may seem bizarre at first glance, there are many advantages that such an approach could present. to this technology is that it allows for hands free operation of mobile devices. There are a few ways design teams are trying to integrate this technology, but the vast majority utilize a kind of bracelet or similar attachment that projects the image of a phone screen or other familiar user interface onto your hand or arm. The obvious benefit this presents is that it eliminates the need to actually hold anything in your hands to use your phone. While it’s unclear whether or not companies plan on adding some kind of headphone jack or speaker system (for making calls or playing any kind of audio), early demos demonstrate devices as having the capability to perform at least all the basic functions of a smart phone touch screen. Devices have also been designed and demonstrated as being able to store and run apps like Maps and other useful tools as a smartphone would, simply without the smartphone. This leaves your hands free to carry things, drive, operate other devices, and also eliminate the need to store your device or really take care of it any more than it takes to not bang your wrist too hard on anything. A bracelet device eliminates the need for a cellphone case, frees up pocket and bag space and also keep the device safer from loss, as it will literally attached to your person. that body-based AR technology presents is that it’s a far more efficient use of hardware than traditional phones and smart phones. AR projectors are smaller than phones, and simply require less materials to produce. This means less waste generated in both their creation and their disposal, as well as a faster production time and a cheaper production cost when compared to smart phones, which end up being bulkier on average than AR bracelets. Using a device that requires less hardware and takes up less space delivers a slew of advantages over less efficient bulky phone models, and is generally a step in the right direction in terms of being economically and environmentally friendlier. After a demo sessio or two it becomes apparent that this technology is the next logical step in technological advancement, especially in a time when we face so many environmental issues. Furthermore, bracelet-mounted augmented reality and other kinds of augmented reality technology beget more innovations like them, and an environmentally friendly direction is a good direction to take for the technology industry. Augmented reality headsets and the like also allow for better expression and visual collaboration, which saves time, money, and supplies which would had been spent coming up with ways to display complicated ideas that are easy to design and express with the help of augmented reality.